The big news over the weekend was that Estonia has finally joined the euro zone and has adopted the euro as its official currency. But before we go into the nitty-gritty of Estonia’s accession to the euro zone, let’s take a look at some key facts about the country. Estonia wasn’t a country until 1920 when it separated from Russia and proclaimed its own independence. 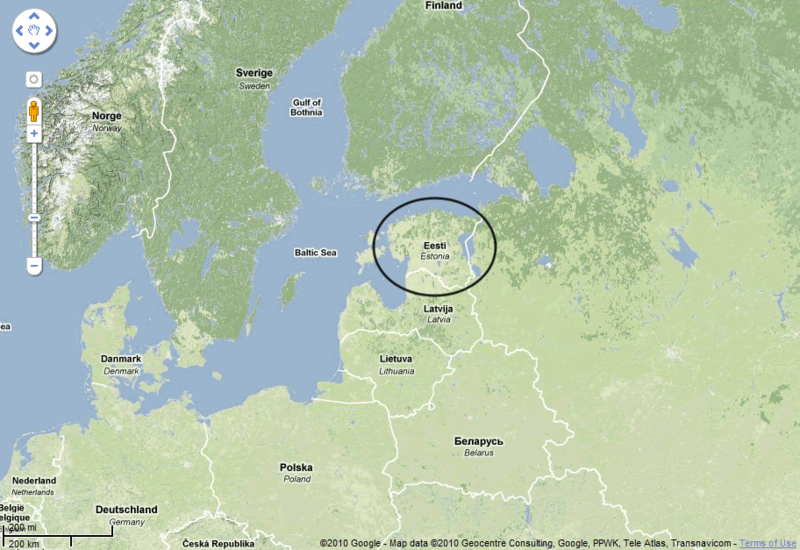 The country is located in the Baltic Region in North Europe, east of the Baltic Sea. It was hit hard by the recession in 2009 with its economy contracting by almost 14% and the unemployment rate up at 15%. The government had to implement severe budget cuts to keep its target within range and as a result, its public deficit for 2011 is giddily anticipated to only be 1.6% of its GDP. This has impressed the European Union enough to grant its request to join the euro zone clique. EU Commissioner for Economic and Monetary Affairs Olli Rehn was the one who delivered the good news and said that the country will use the euro on January 1, 2011. Talk about starting the year with a bang! Estonian Prime Minister Andrus Ansip probably still feels like a 5-year-old on Christmas morning. He has been looking forward to the euro adoption, believing that the move will help create more jobs, increase pensions, spur economic growth, and ultimately, bring stability to the country. And it seems like he isn’t the only who thinks so. Credit rating agencies S&P and Fitch have both upgraded Estonia’s credit grades saying that risks associated to its debt are reduced when it enters the euro zone. The EZ hood is also more than happy to welcome Estonia. Economic gurus think that the Baltic country could help restore confidence and attract foreign investment into the region. But as you should know, there are always two sides to every coin. The move to join the euro zone received quite a few objections on the domestic front. And I’m actually not surprised at all to hear this. After all, only slightly more than half of Estonia was supportive of the idea of adopting the euro in the first place. It’s not hard to see why a few feathers have been ruffled. It can be argued that Estonia is joining the euro zone at the worst possible time, right smack in the middle of the debt crisis. Think about it. Estonia had to leap through all sorts of hoops and go through years of austerity just to be accepted into the euro zone. And what does it get in return? It has to pitch in and contribute funds to aide those members that were irresponsible with their finances. What a bummer! Some have even said that the entire decision was rushed in order to regain confidence in the euro zone. “The euro zone can’t possibly be in a rut. It’s still accepting new members!” Riiight. Yes, it’s true that this move will probably restore confidence in the Estonian economy. But it does nothing to address the country’s structural economic problems. It will still have to undertake substantial structural reforms to achieve sustainable growth. Well, whatever the case may be, it’s pointless to argue at this point whether this will ultimately be good or bad for Estonia and the euro zone. The decision has already been made, so there’s not much more we can do than sit back, watch, and hope this all turns out for the best.